Integration Workshop builds the furniture you've been looking for but haven’t been able to find and can restore that perfect piece you've had forever or have only just salvaged. IW fluently translates from napkin-sketch to reality for designers, architects and private clients. 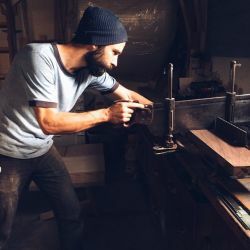 IW is Joel Wakeman, he lives and works in SW Washington and studied industrial design with an emphasis on making at the Rhode Island School of Design.